From our beginnings, Generations has specialized in making sure our Church and clerical customers have exactly what they need to perform their ministries. We carry the brands you trust and purchase from the best selection of dealers and manufacturers of quality church goods, both domestically and internationally. If you see something on another website or catalog, please contact us to check availability through Generations. As Ohio's premier church goods dealer, we are likely to have what you are seeking and more. If you have questions, please contact our church goods specialists at (800) 743-7155 or (614) 451-7155. Maas Metal Polish Cream 4 oz. 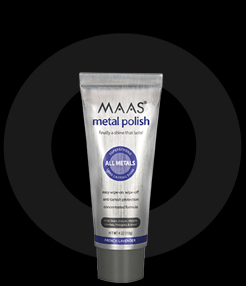 Maas Metal Polish Liquid 8 oz.